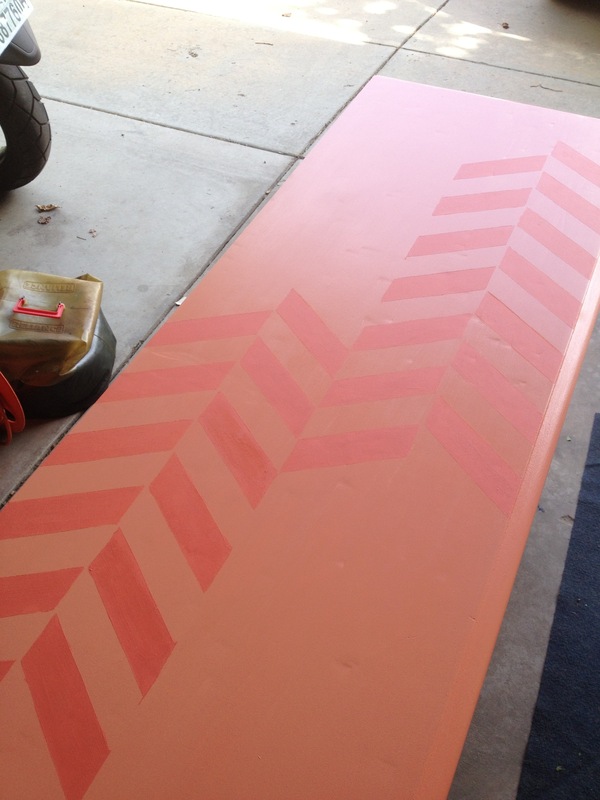 Guys, I finally was able to finish stenciling the top of my tv-stand!! 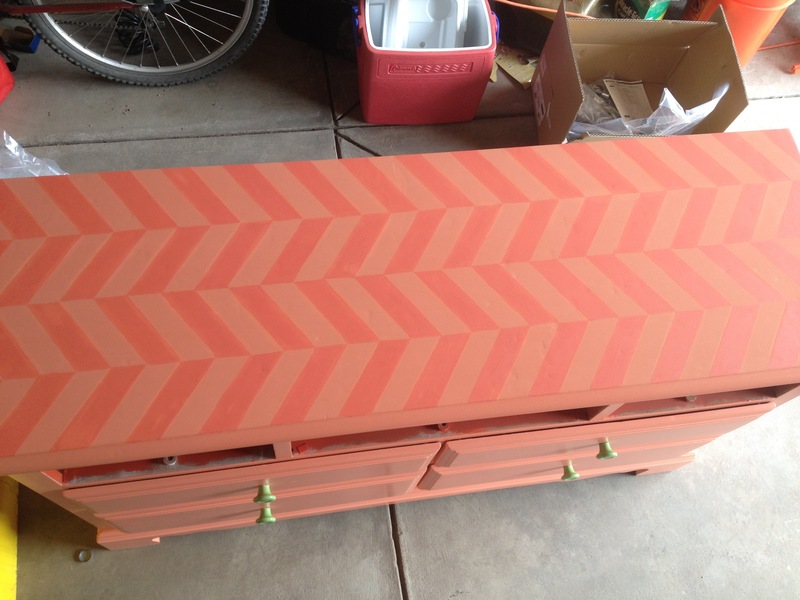 I started with my hand-made stencil right in the middle of the dresser and taped it down using painter’s tape. I was very lucky and the stencil fits perfectly right next to each other and covers the whole top. 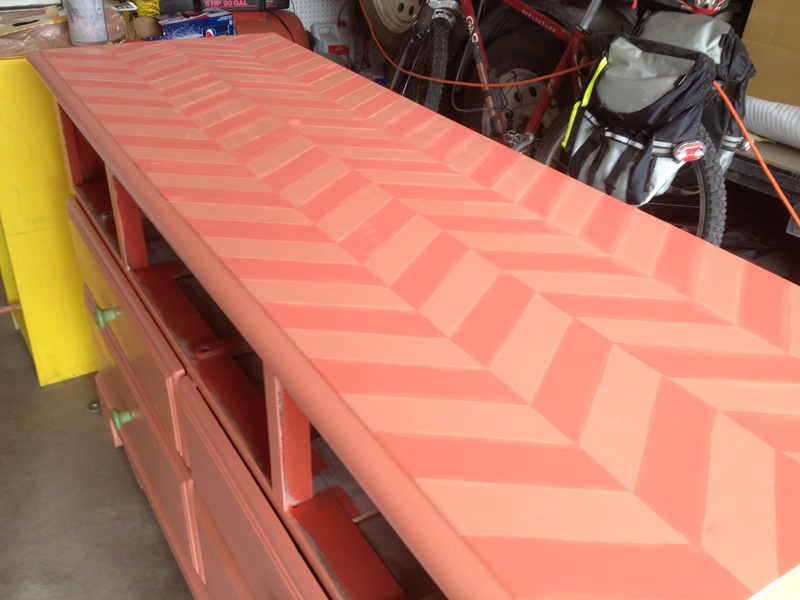 I used a foam brush for the first coat, then took off the stencil and used a paintbrush for the second coat. I thought the brush would have a better finish, but I will have to go back and fix a few spots because of it. Next time I will use the foam brush for the whole thing, or a larger paint brush. Opinions?! 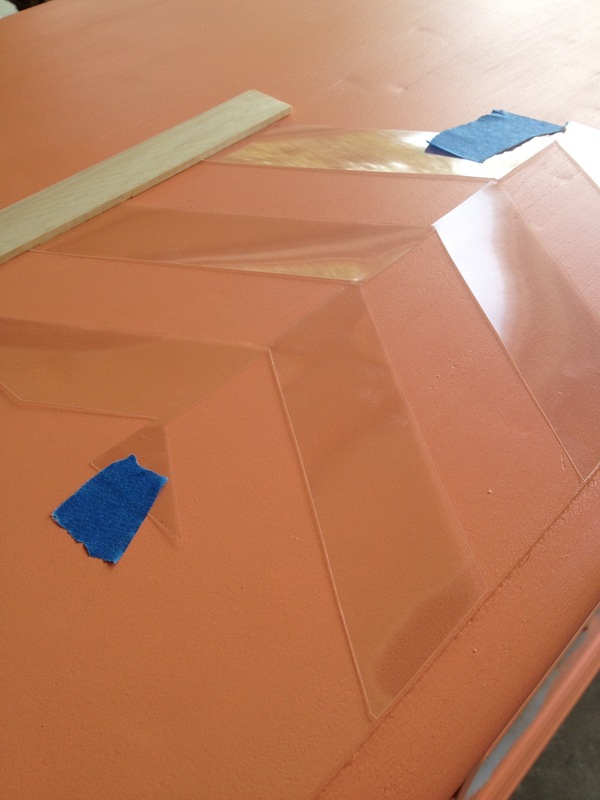 To speed things up I had a paint stir stick up against the open side of the stencil instead of tape. Now I just am working on little touch-ups! I love the way it turned out and love the fact that it was FREE! 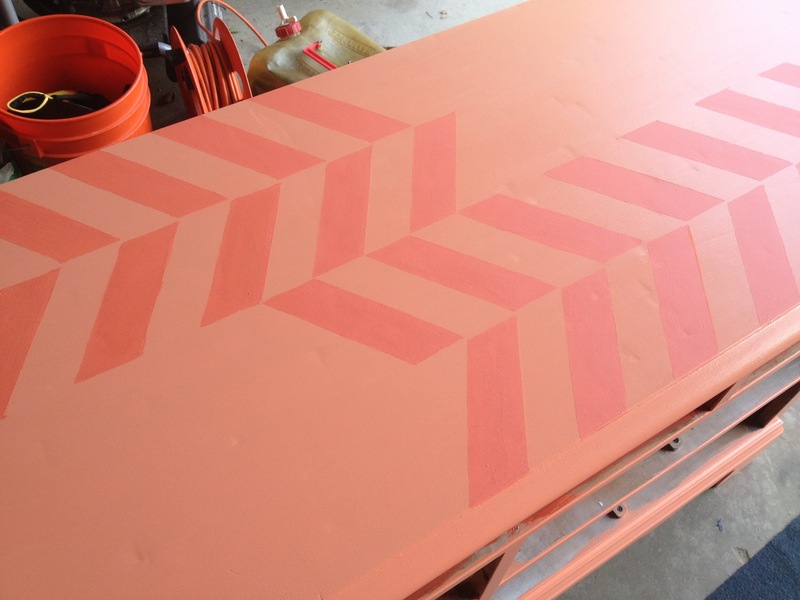 Is there something you have been dying to stencil? Hey! I am super in love with your blog right now so I nominated you for a Liebster Award. Go to my page to check it out and see what to do next!